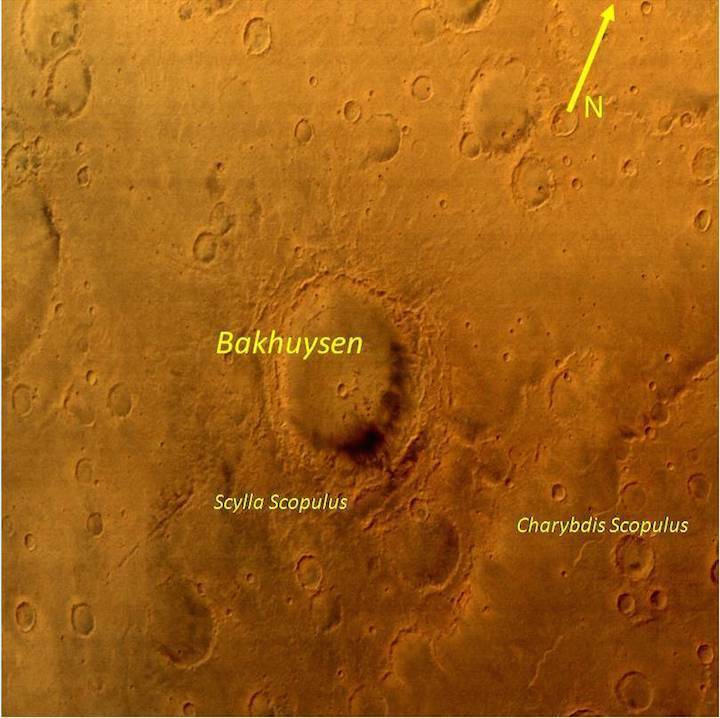 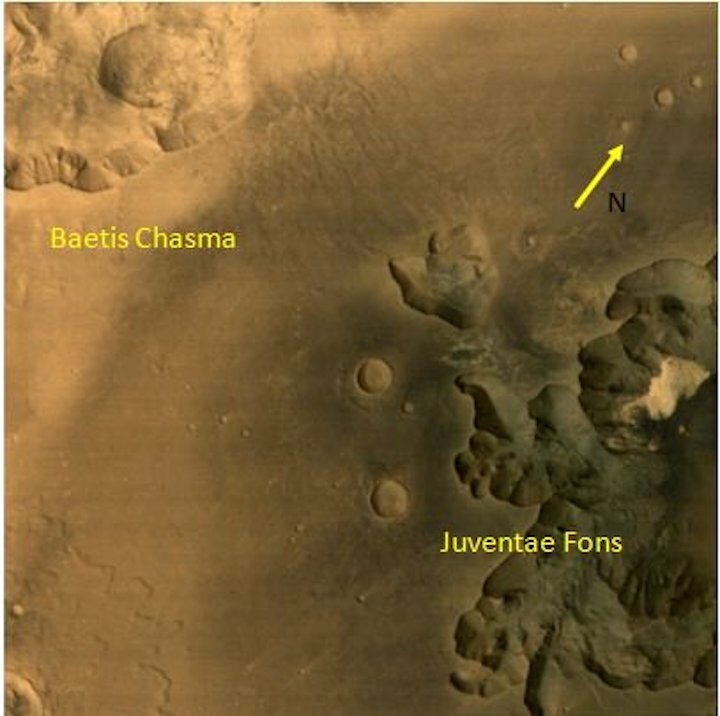 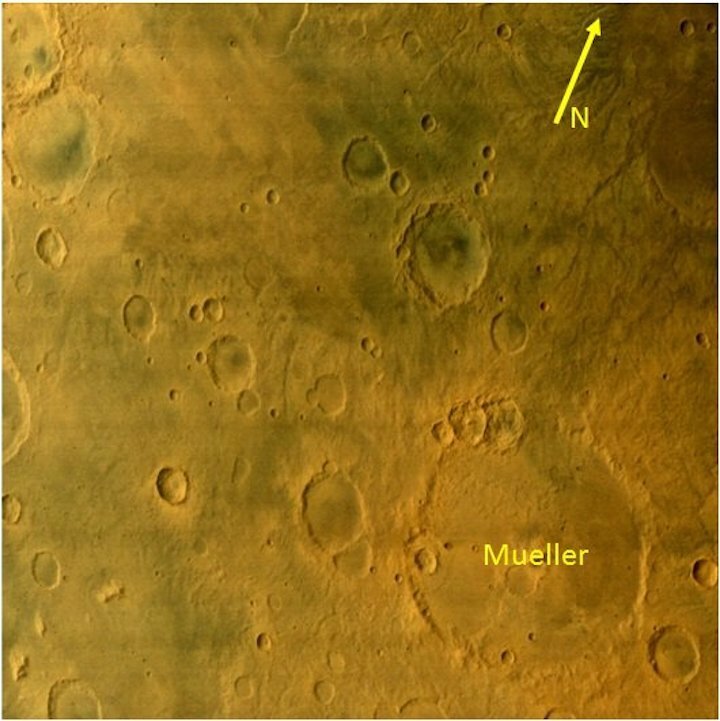 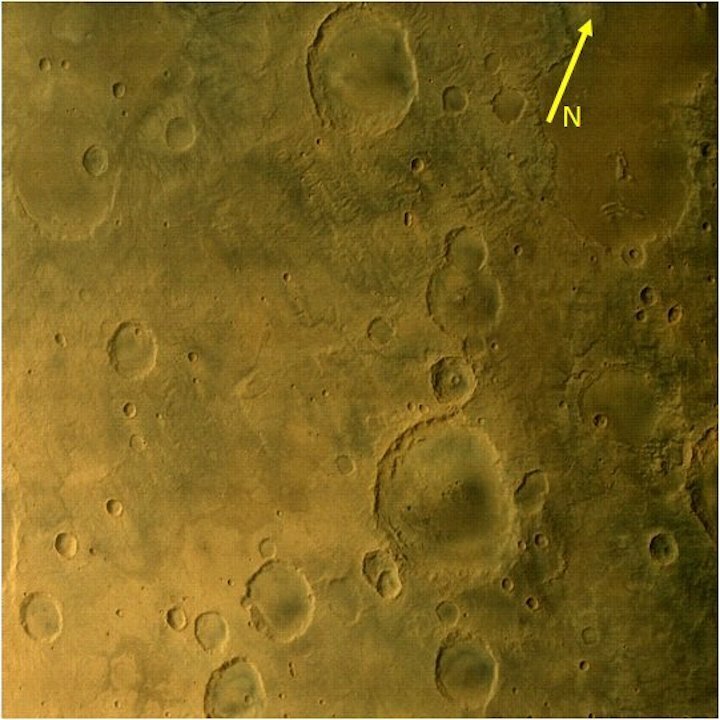 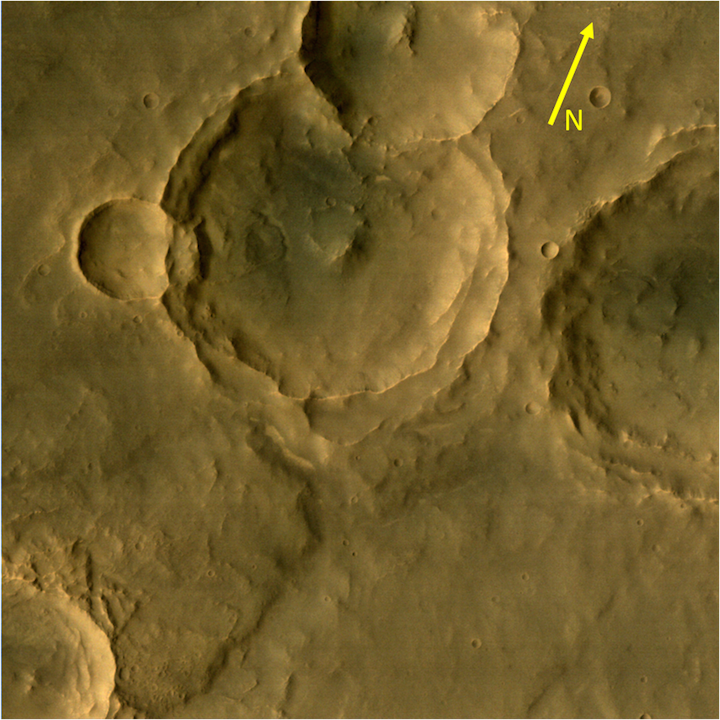 The image shows part of the Mars disc with a spatial resolution of 2.2 km. 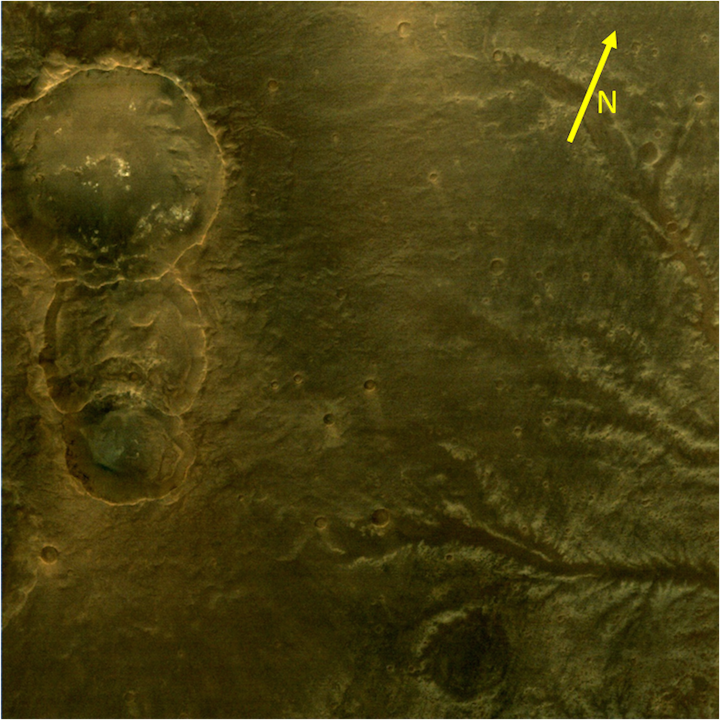 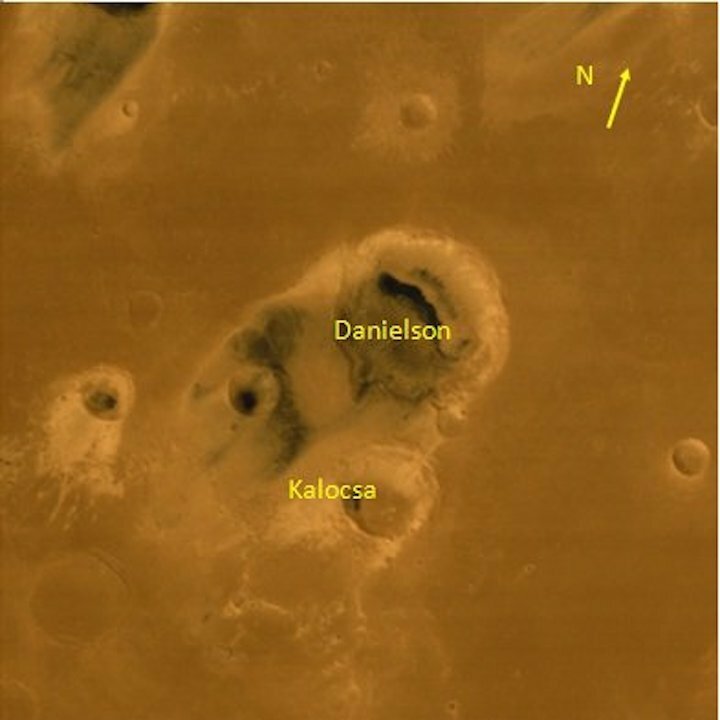 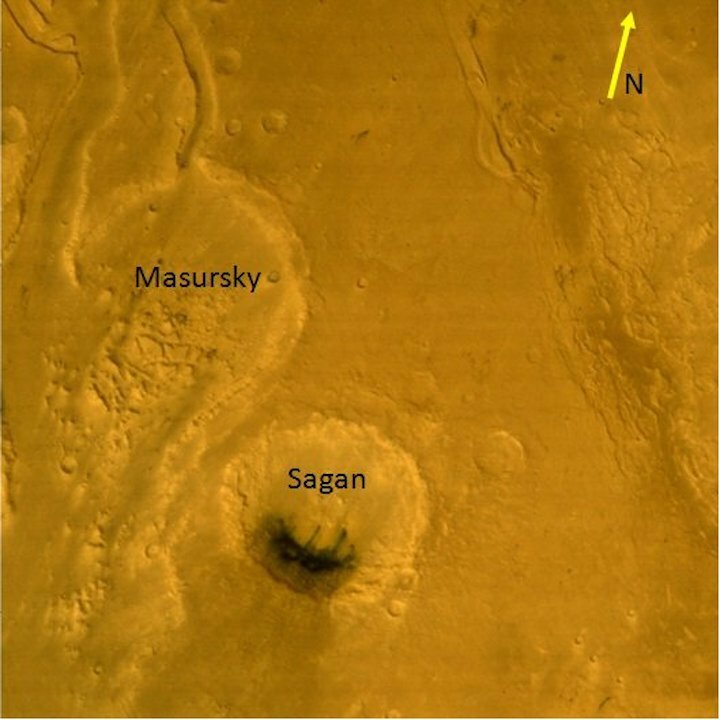 The major volcanic summits in the Tharsis region like Olympus mons, Arsia mons, Pavonis mons & Ascraeus mons are clearly visible in the image. 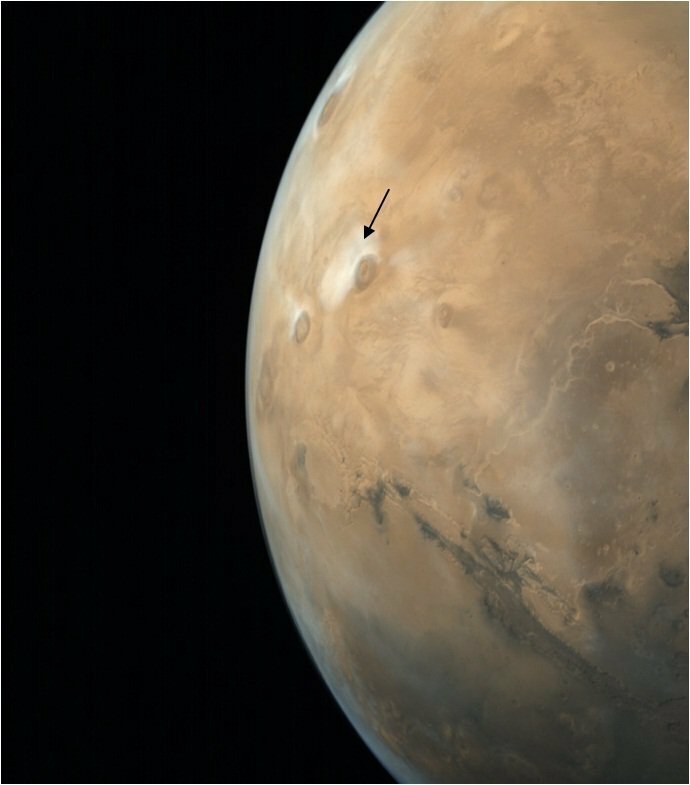 Mars is in 85 degree solar longitude (Ls) and as expected during this season , the cloud formation (arrow) is seen around Ascraeus mons. 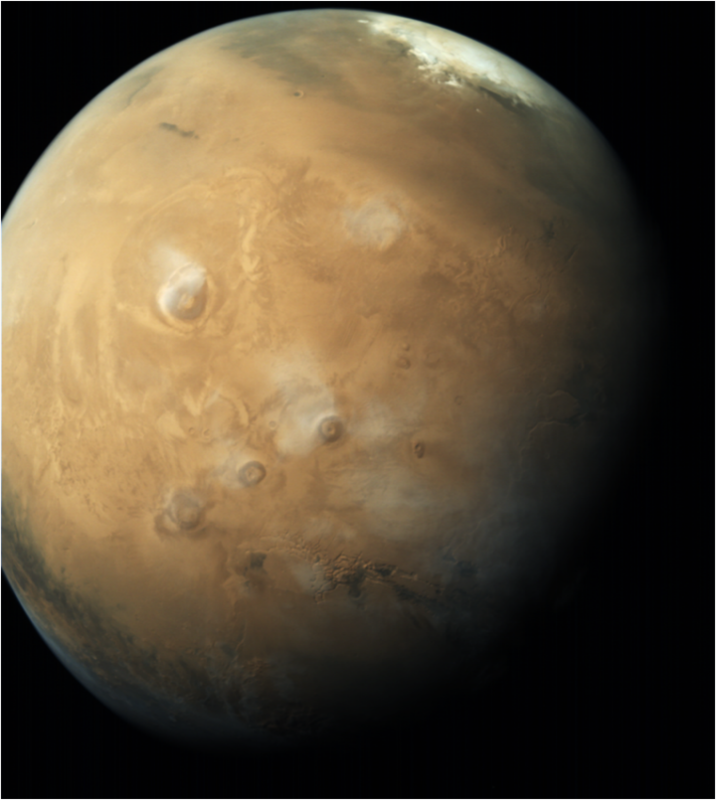 This MCC image was taken on Nov 9, 2017 from an altitude of 42,433 km and it has been color corrected.